Late last year, this couple reached out to us looking for a photographer for their wedding. It would be a relatively small event. No dance floors, no limos. Just good friends, good food, and the memorialization of a huge commitment they’d make to one another. After looking through the profiles for our photographers, they identified most closely with Greg’s style, and Greg was eager to work with them. So, after plenty of planning, the trio started on the wedding day with couple’s formals, which they (wisely) wanted to do before guests arrived. And, since they decided against having a wedding party, Greg was really able to really focus just on the two of them, and produce some beautiful images. 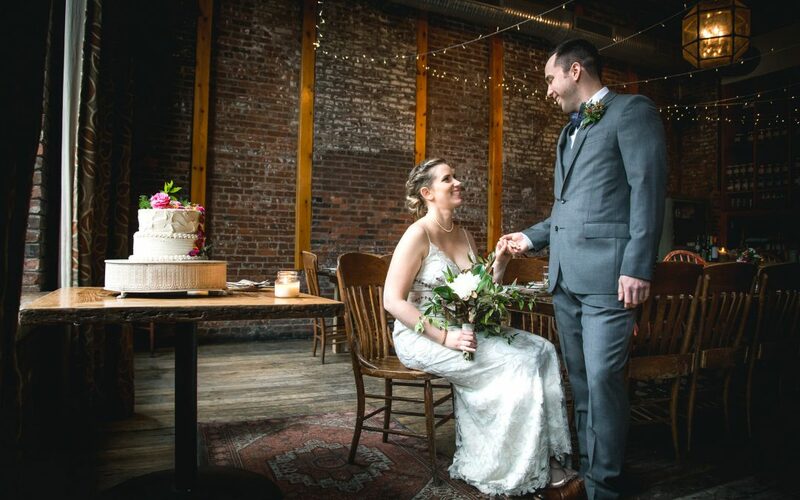 The portraits, ceremony and reception all took place among the ever-interesting and bold aesthetics of the Woodberry Kitchen on Clipper Park Road in Baltimore. The patios and courtyards are richly packed with plants and colors and it made a beautiful spot that never felt redundant. Greg stuck around for the beginning of the reception dinner-party before heading home. He captured some gorgeous images; take a look at some of our absolute favorites below! And, if you’re interested in working with Greg for your wedding, whether that be traditional all-day coverage, or something that just focuses on the parts that matter to you, we’d love to hear from you! Check out the Wedding Photography page here on our website for more details!